I recognized this photo right away. 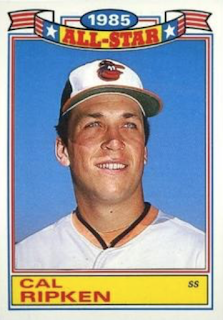 I bought tons of rack packs back in 1986, in part because they included an exclusive set of Glossy All-Star cards. 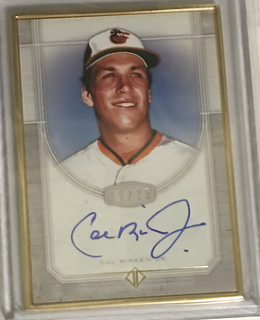 Here is Ripken’s card from that set. Here is the photo match. 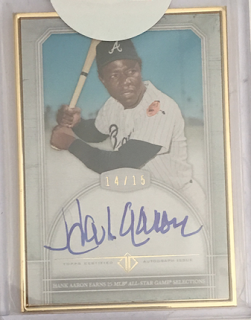 Because I couldn’t make it to the VIP party in Atlanta with Hank Aaron, I picked up this auto card of his from the party. Once again, a recognizable photo. 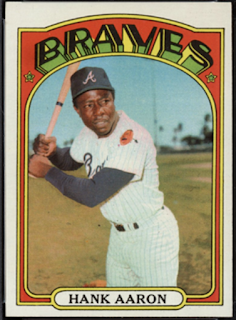 Here is Aaron’s 1972 Topps card. At this point you may be questioning why I bothered to write about the photo selection in this set. 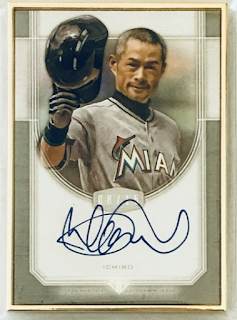 Let’s take a look at the Ichiro card. I should point out a difference between this photo and the photos for the prior cards. Most modern day photography is purchased through photo services such as Getty Images and AP Images. 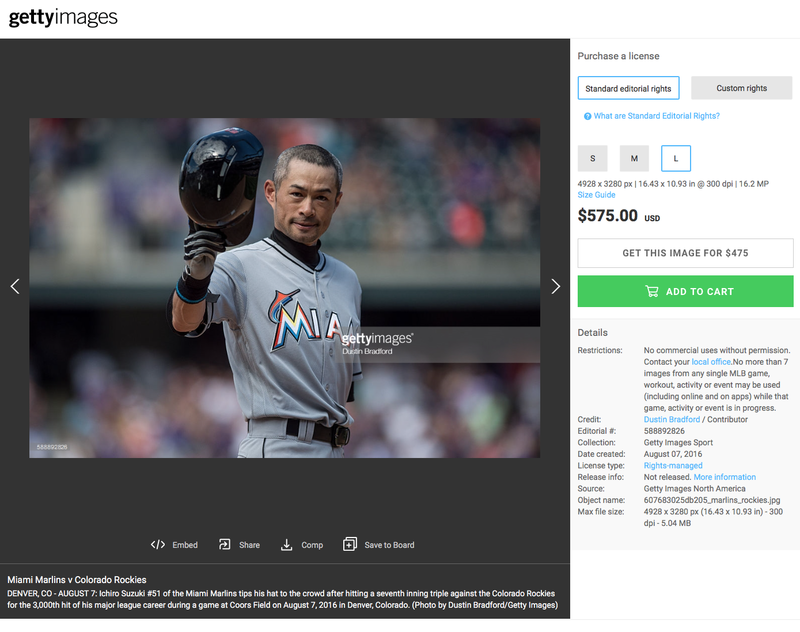 Ichiro giving a tip of his helmet indicated to me that, most likely, something significant happened when this picture was taken. 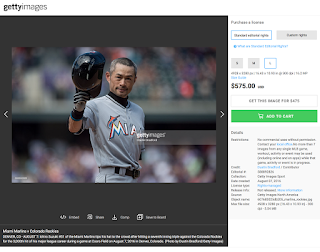 I did a google image search for “Ichiro tips helmet” and got what seemed to be an exact match. 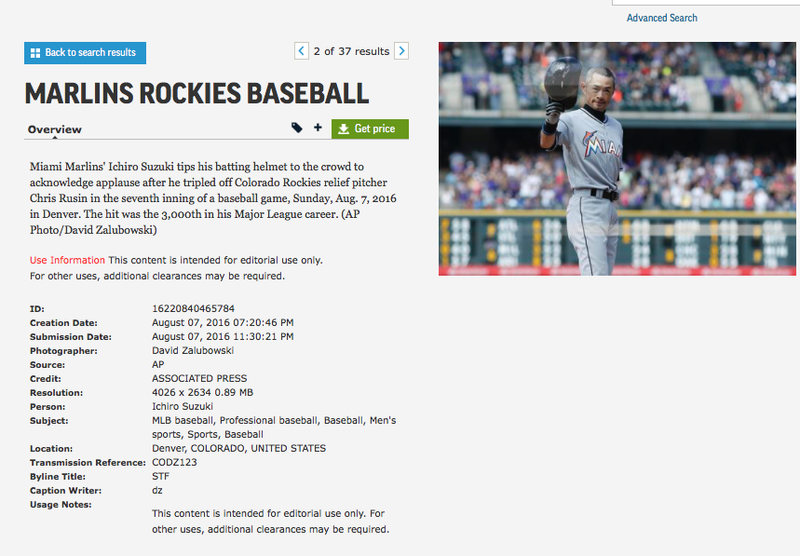 It was Ichiro’s 3000th MLB hit. The photo credit was David Zalubowski with AP PHOTO, but something was off. 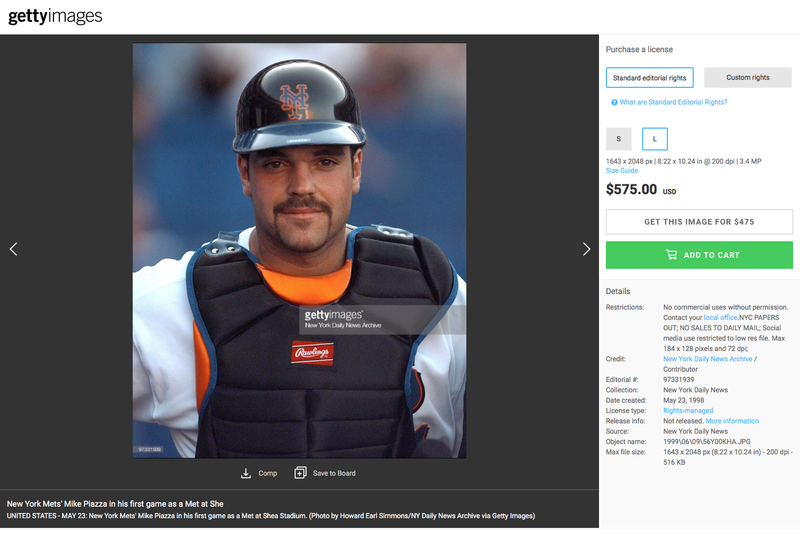 I checked Getty Images and found a nearly identical photo taken by Dustin Bradford. That was a perfect match for the card. I thought that was a very cool moment to capture and started exploring the other photos. As it turns out, the Piazza photo is from his first day with the Mets. 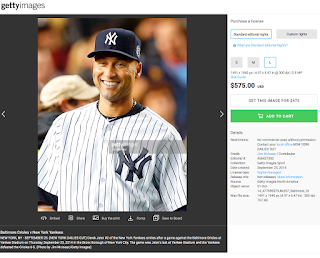 The Jeter photo is from his last game at Yankee Stadium, in the aftermath of hitting the walk off RBI single. All of these are cool moments to have autographed, but I’ve saved the best for last. 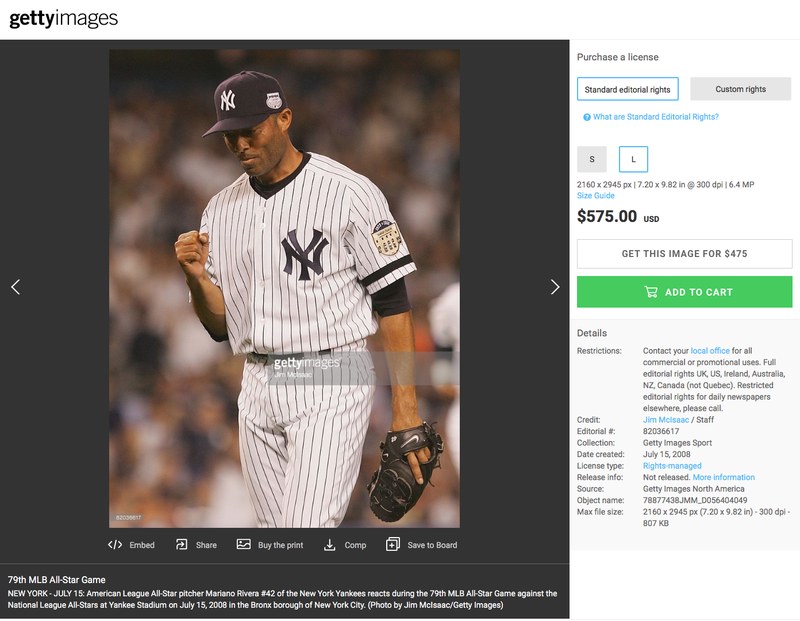 This photo is of Mariano Rivera. It was taken during the 79th MLB All-Star Game at Yankee Stadium. I could tell that from the patch on his cap. That game took place July 15, 2008, exactly 10 years ago, today. 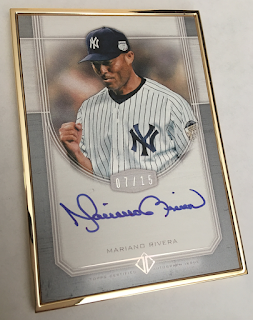 And while the game extended well into the next day, as it went 4 hours and 50 minutes, Rivera’s time on the mound was for the last out of the 9th inning and the entire 10th inning. Both of those innings ended in double plays, so this photo could be from either of those innings. More importantly, his time on the mound was complete before midnight rolled around. 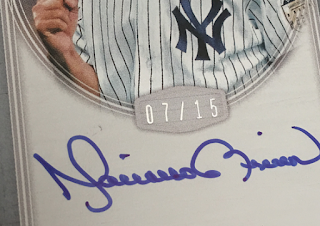 Let me give you a closer look at this card and remember, the photo for this card was taken on July 15th, 2008. How about if I put it this way, the photo was taken on 7/15. When I saw this card, I knew I had to have it. So that’s my micro collection of Transcendent cards. 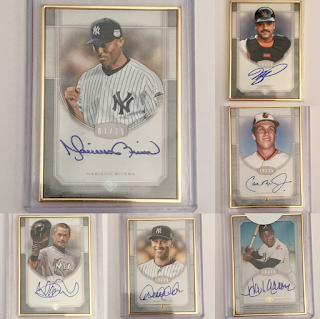 but these cards also work themselves into two other micro collections that I will go into depth about in another post. Holy smokes. I wanna pay attention to the origins of these photos, but I'm too blown away by these autographs.